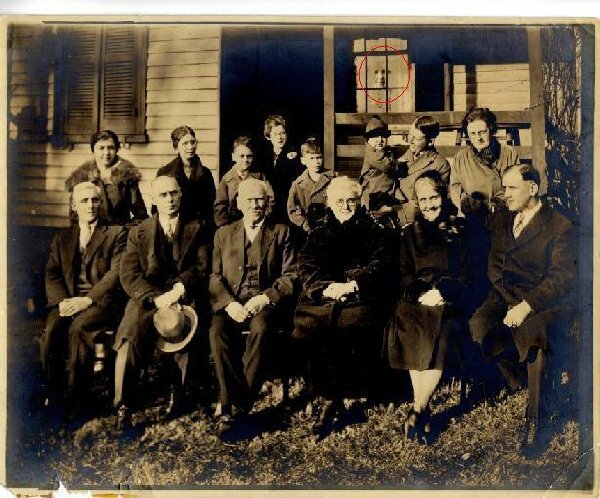 This mysterious face appeared in the window in this late 1800's family photo. The face is said to be a relative of the family that had recently died. Seems they wanted inclusion in their family photo! that is a post to a railing , and a shadow from the window going over the top of it.... not a face.